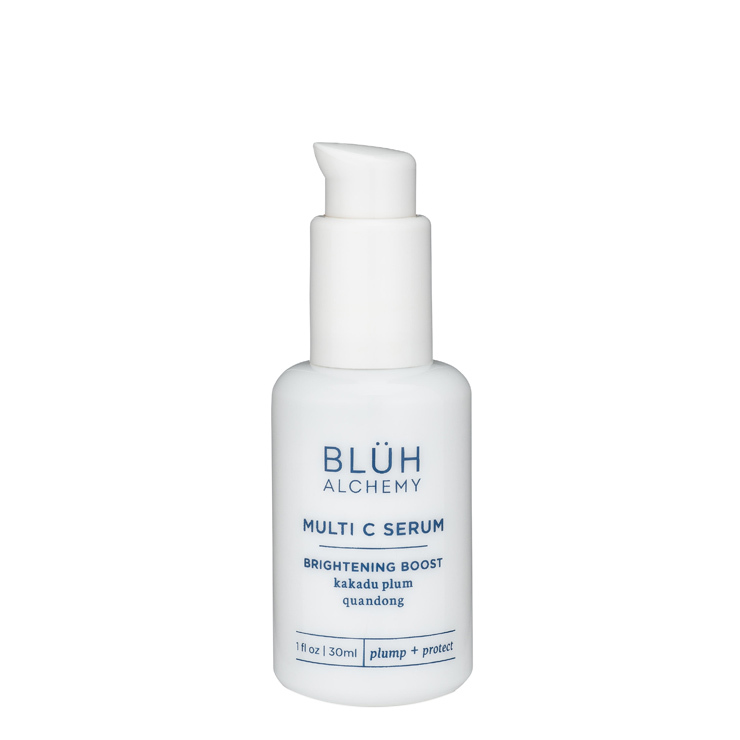 A vitamin C lover’s fantasy, use Blüh Alchemy Multi-C Serum to give skin a sense of renewal. Made with Kakadu plum to bestow a look of brightness and revitalization to all skin types. Kangaroo paw and astaxanthan are used to offer a protective sensation against UV damage and environmental stressors, reducing the appearance of lines, wrinkles, and discoloration. Quandong lends a strengthened feel and gives skin an even, balanced look. 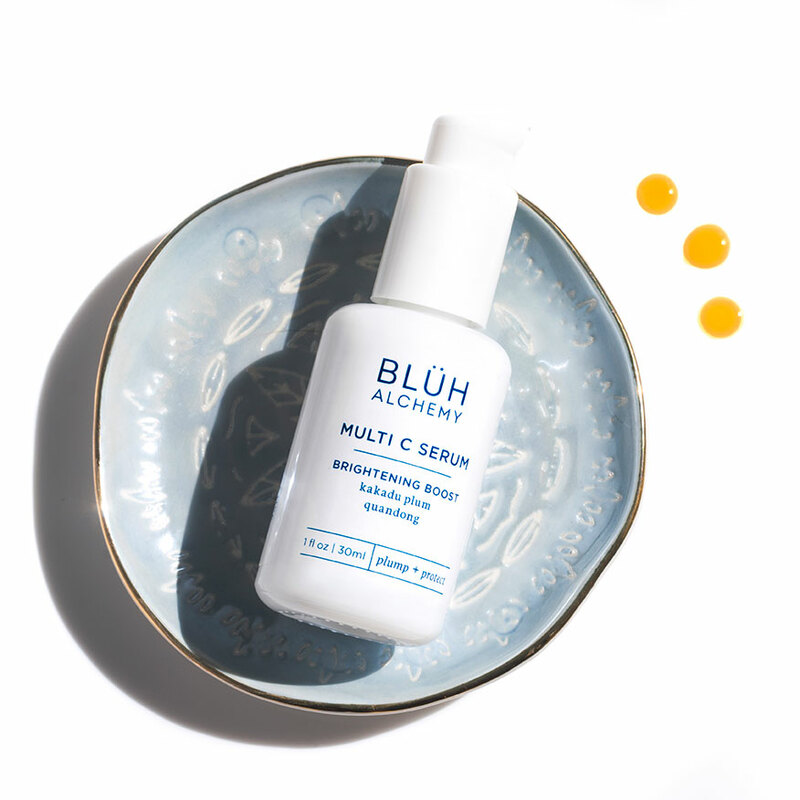 Prickly pear and green coffee seed visibly tighten and firm the skin, while sea buckthorn offers a look of healthy glow. 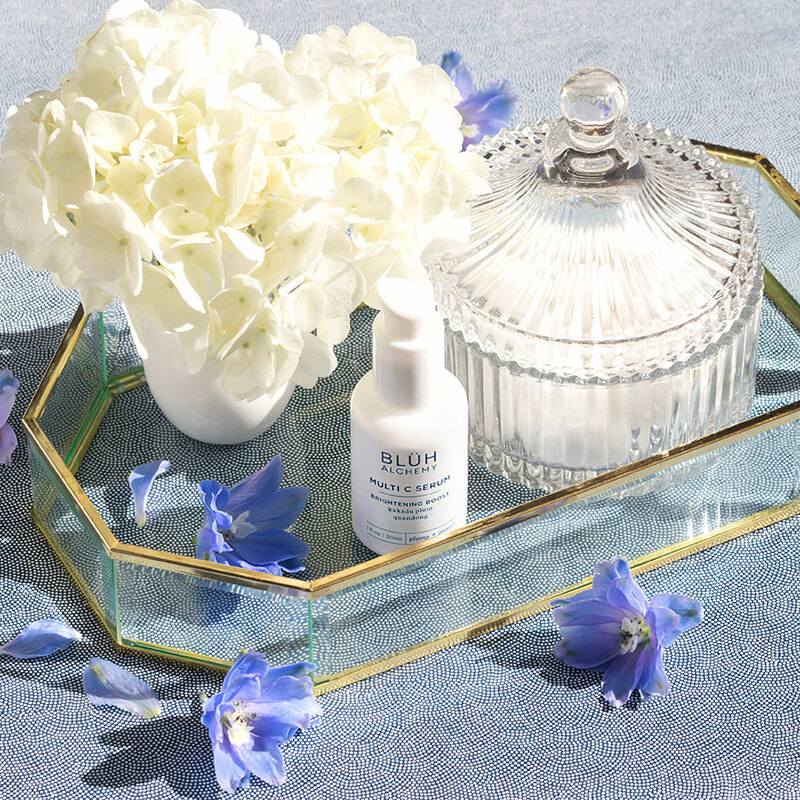 Apply a thin layer of serum to clean skin on face, neck, and décolletage and press onto skin. May be used alone or with facial oil. Follow with daily moisturizer or night cream. Use both morning and night. 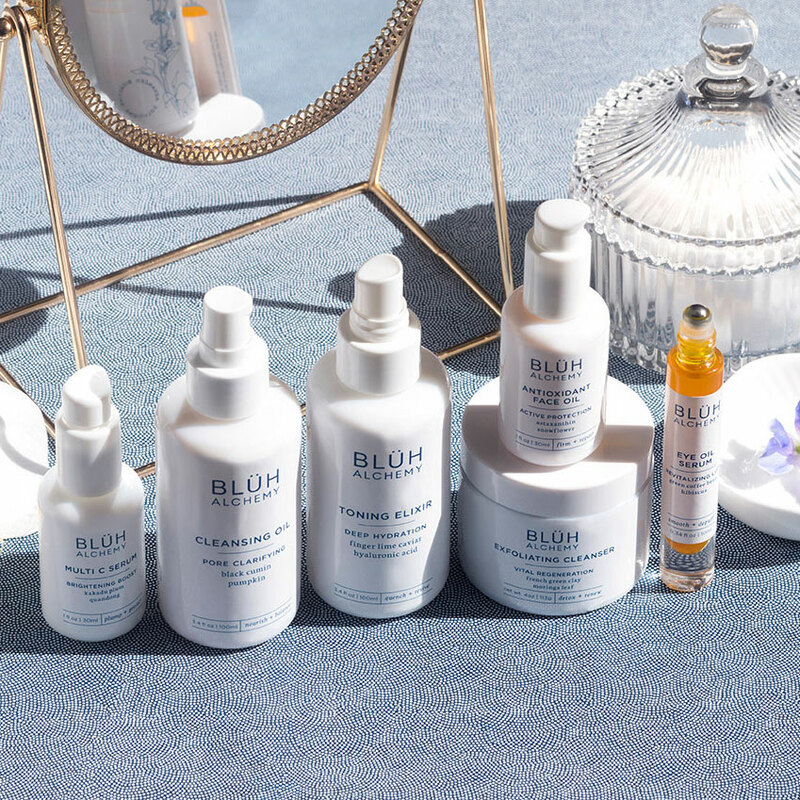 Combined with the Bluh Alchemy mist something truly special happens. I highly recommend. Happy Skin. My skin was completely transformed within mere days of using this product! I cannot believe the smoothness and improvement in texture and tone I've experienced in such a short time. I am so thankful to have been introduced to this brand in the March Discovery Box, because I'm not sure I would've spent the money on an "unknown" product otherwise. Now that I know what its capable of, I will be repurchasing this serum every time I run out. I am in love! Can't wait to try the other products in the line too.